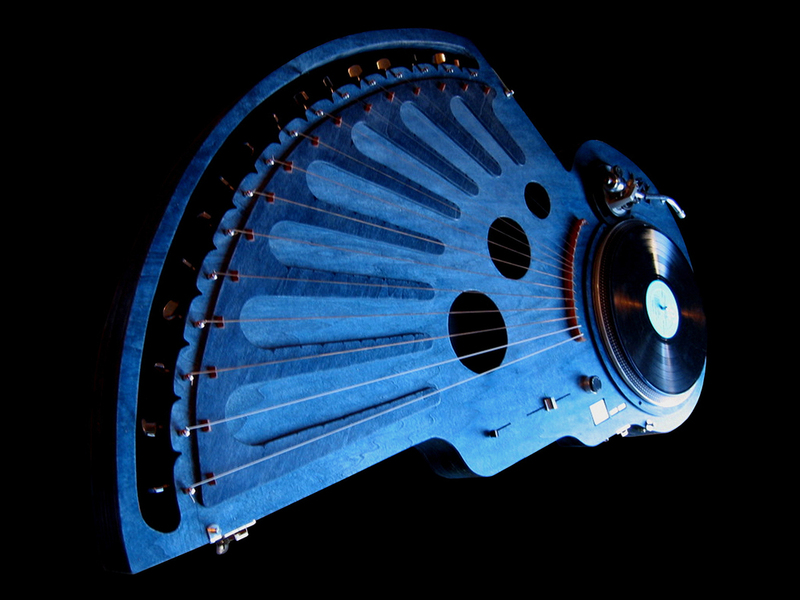 This Phonoharp was the first to include a Technics 1200 turntable, my prized possession. I finally had the confidence to cut it apart and rebuild it as a new instrument and this was the result. It could sound like anything from a bass to a lap steel guitar, to a strange percussion instrument. It traveled the world before being purchased by a collector in 2006. Check out this VIDEO clip below. The first 9 minutes shows some details of the instrument and a couple of performances in different settings.